The Original HotCoat Powder-Coating Gun brings the benefits of powder coating right to your home garage or shop. 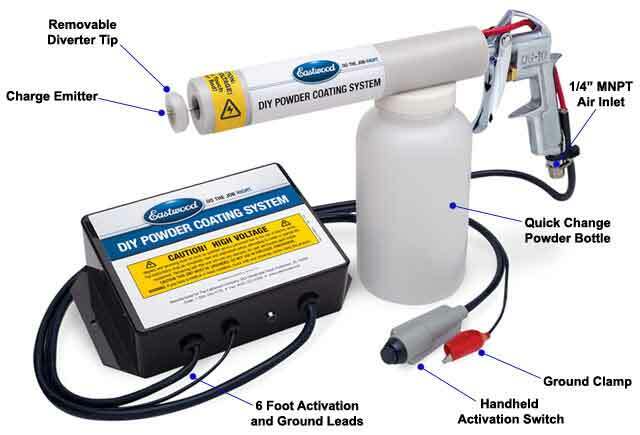 This innovative, inexpensive powder-coat gun helps you do a professional-looking powder coating job right at home. All you need to add are a compressed air source (5-10psi) from a portable tank with a regulator or a compressor), a dedicated electric oven or toaster oven, and powder colors. Why powder coat? 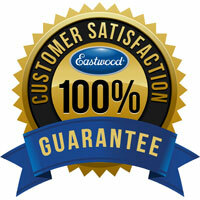 Because it gives you one of the most economical, color-durable, and longest-lasting finishes available. You'll find powder-coated surfaces are far more resistant to chipping, scratches, fading, and wear than other finishes, and the color selection is virtually unlimited, with high and low gloss, metallic, and clear finishes available. And thanks to the UV resistance of many of the powders, colors stay bright and vibrant longer. Texture selections range from smooth surfaces to a wrinkled or matte finish, plus rough textures designed for hiding surface imperfections. One 8-oz. bottle of powder (not included) covers the same area as 2-3 cans of spray paint, and clean-up is easy, since you can simply sweep-up the oversprayed powder. Contains no environmentally harmful solvents. HotCoat powder coating requires a 5-10psi compressed air source and dedicated electric oven (or toaster oven). Imported. Use Disposable Dust Mask (22055) when handling or applying powder. Powder, like common flour, suspended in the air in high concentrations can be explosive. To minimize any explosion risk - sweep up, do not vacuum powder from the floor. Cure powder in a well ventilated area. The urethane powders we sell liberate a very minute amount of isocyanates when the powder flows out.This usually occurs about 3-5 minutes after the part is placed in the oven to bake. Wear a respirator, like our SAS Bandit Respirator (11455 or 11456), cartridges when curing or inspecting flow out progress. (Q) How long does the baking process take? (A) For improved flow out (less "orange peel"), bake coated parts at 500 degrees F until powder flows out (about 3-4 minutes for light sheet metal parts), then turn down the heat to 400 degrees F for a full 15 minutes. (Q) What are the electrical requirements? (A) This HotCoat Gun requires 110-125VAC, 2 amps at 50-60 Hz. Can be used with a voltage transformer such as 220-240VAC to 110-125VAC as long as the transformer can handle 2 amps.